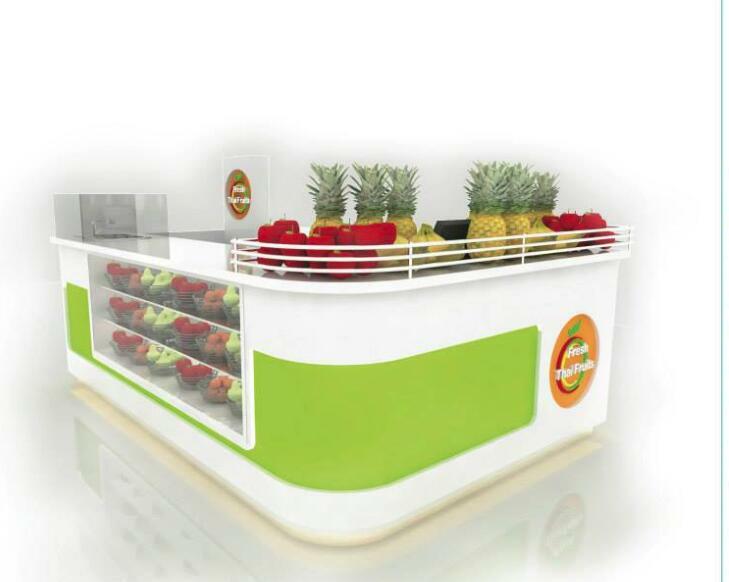 Are you looking for fresh fruit retail kiosk in the mall? 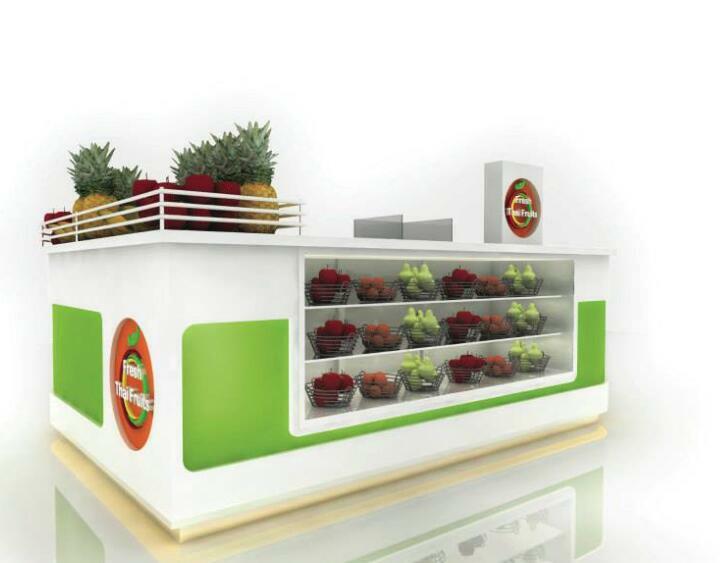 Here we go a very nice fruit kiosk Green vegetable kiosk concept with the best price for sale. Fresh fruit is everyone’s daily requirement, Not to say the temptation of the sweet juice. 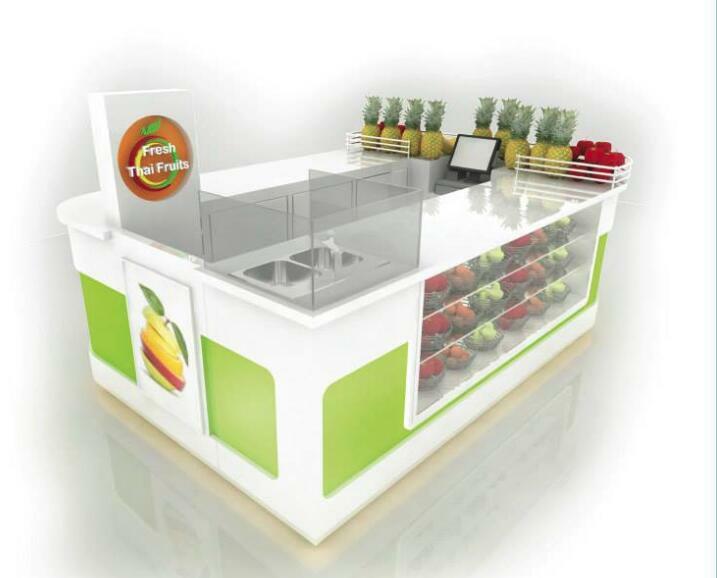 Start a fresh juice bar kiosk in mall are definitely good business ideas. 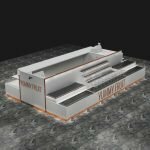 To start a fruit retail business, you will a unique and functional kiosk concept. 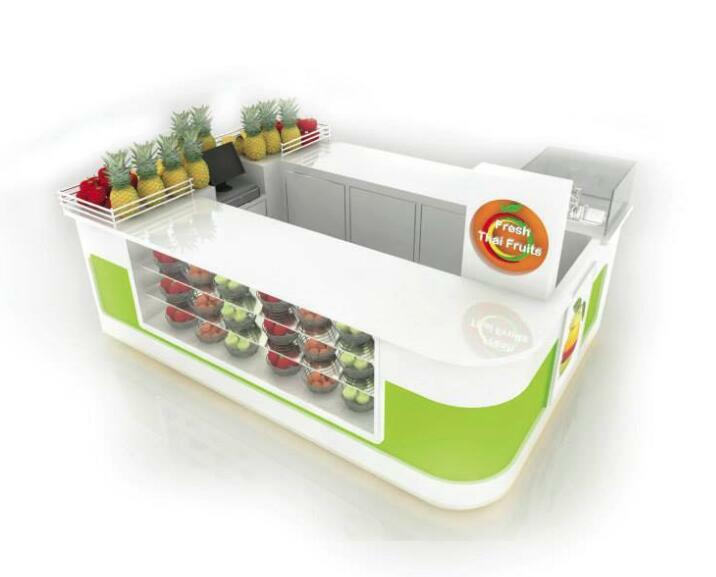 Today share a nice looking Fresh fruit kiosk and Green vegetable kiosk in the mall for retail. A fresh fruit kiosk in mall is always serving the ready pilled fruit, customers can easily buy and enjoy it. Usually, the cleaning process is finished on site. So that requires a fruit kiosk must have a sink. This fruit kiosk design is just perfect for this requirement. Kisok Price: &8800USD With cooling system. (b) Foam with corner protection to give safer protect. (c) Knockdown packing separately and assembles on site. Shopping mall, Restaurant, Retail store, business trade center.